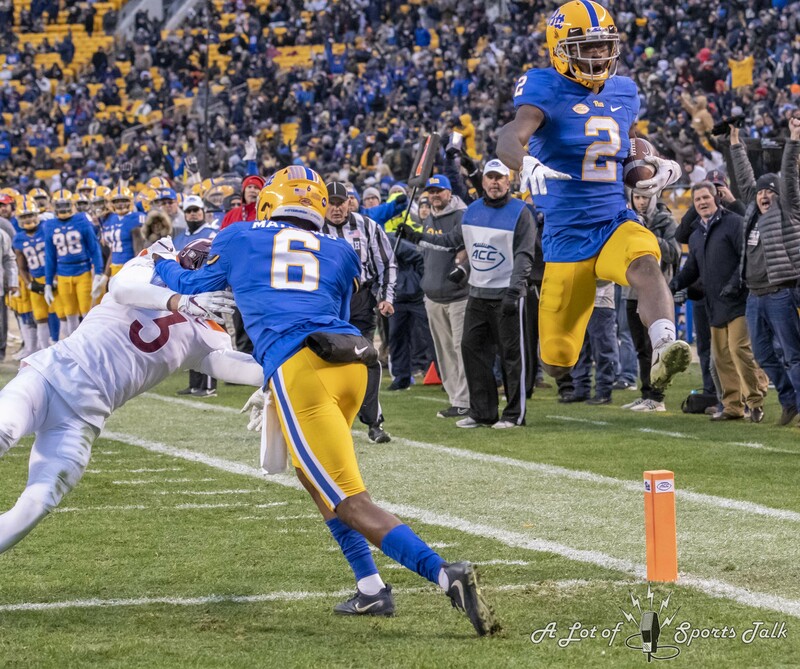 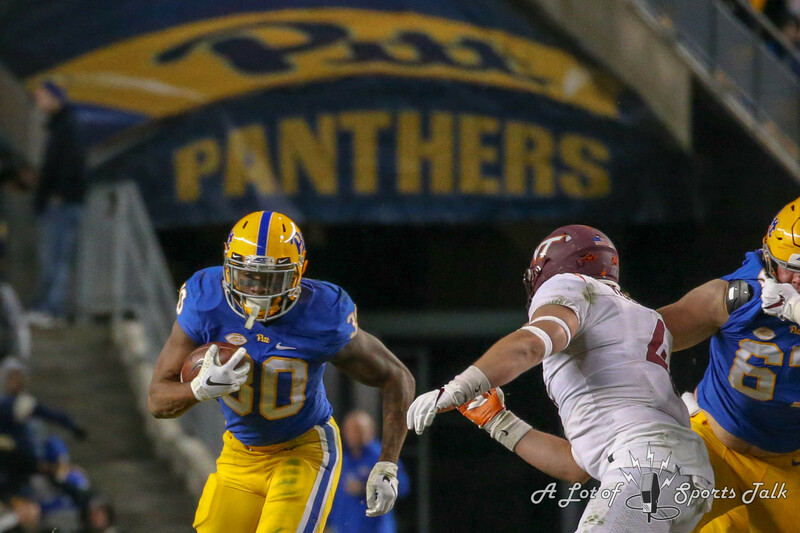 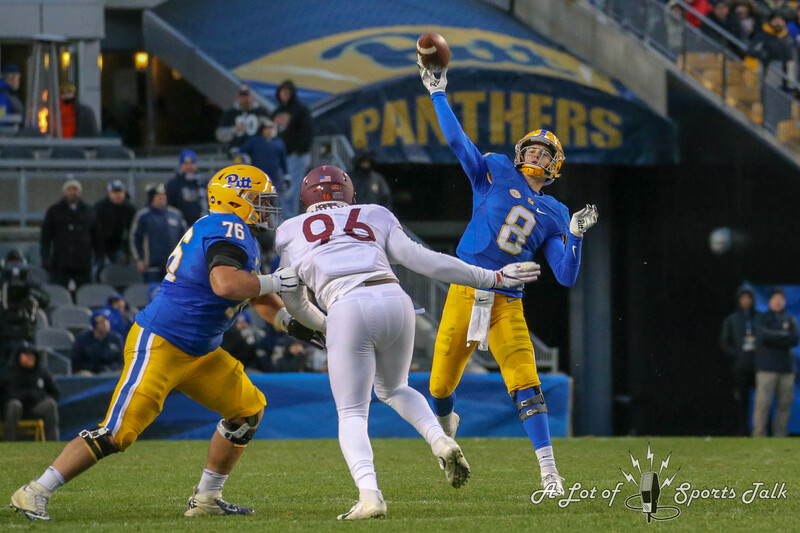 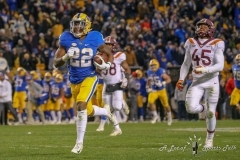 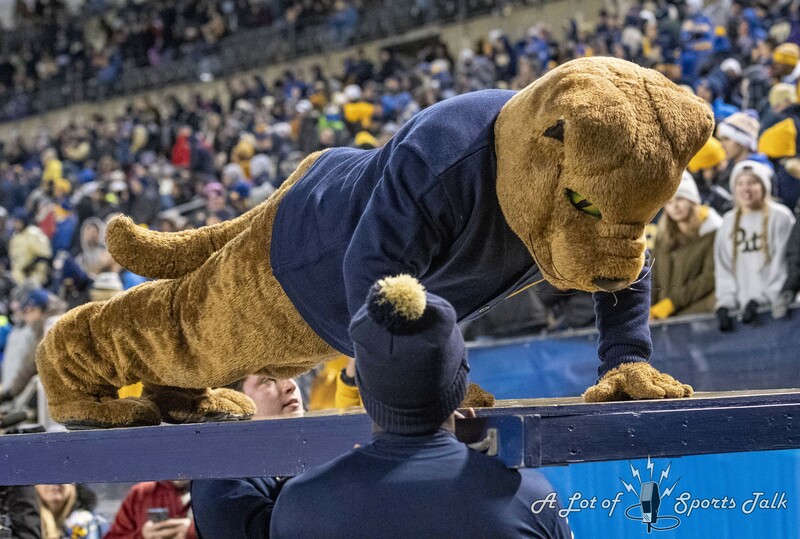 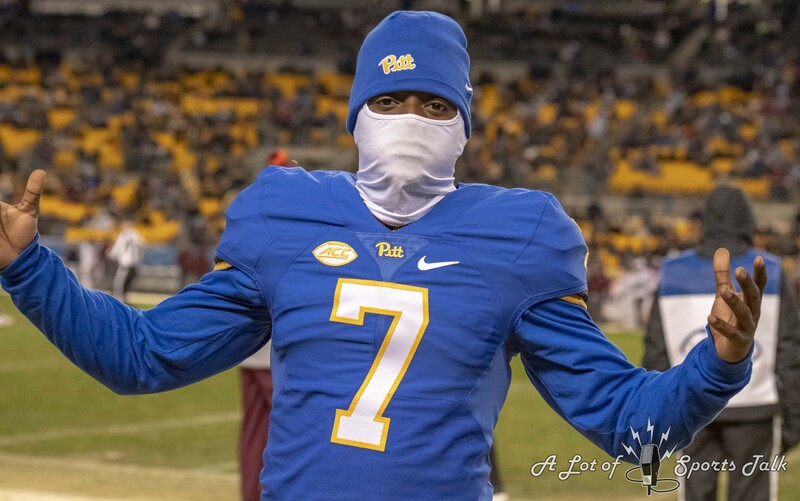 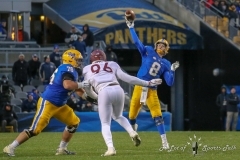 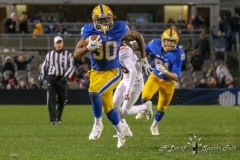 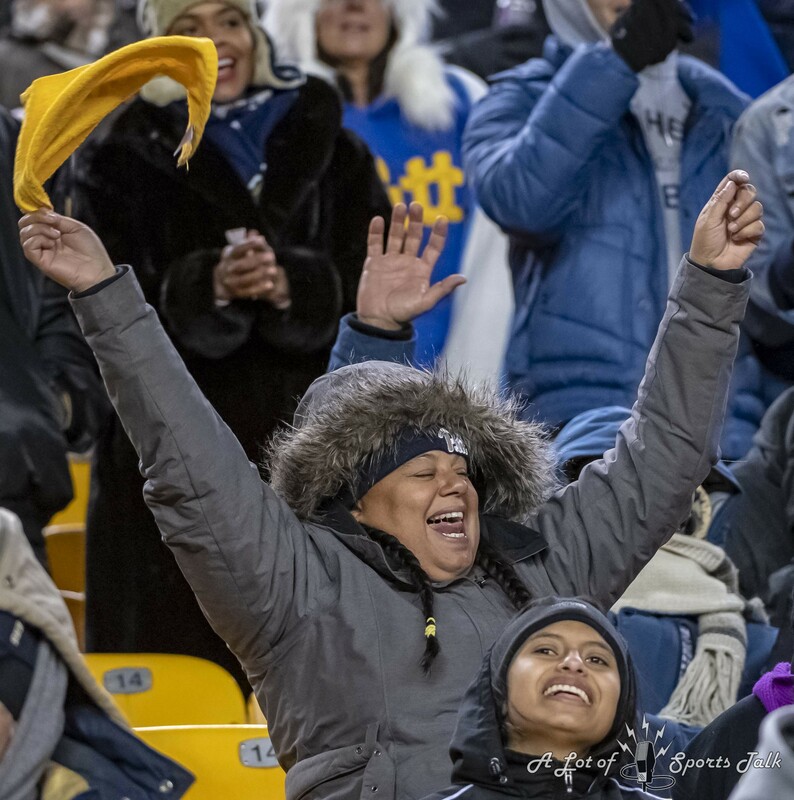 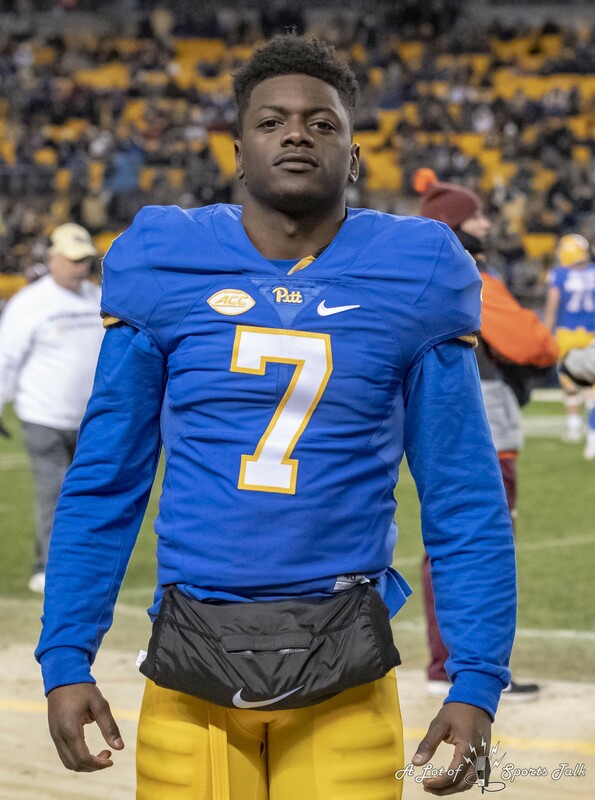 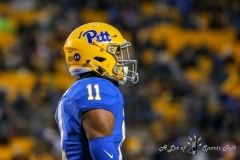 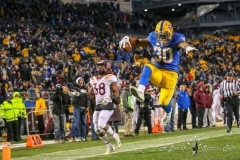 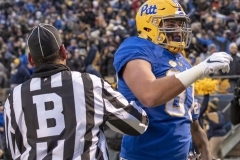 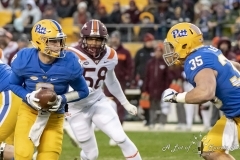 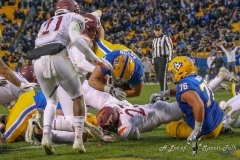 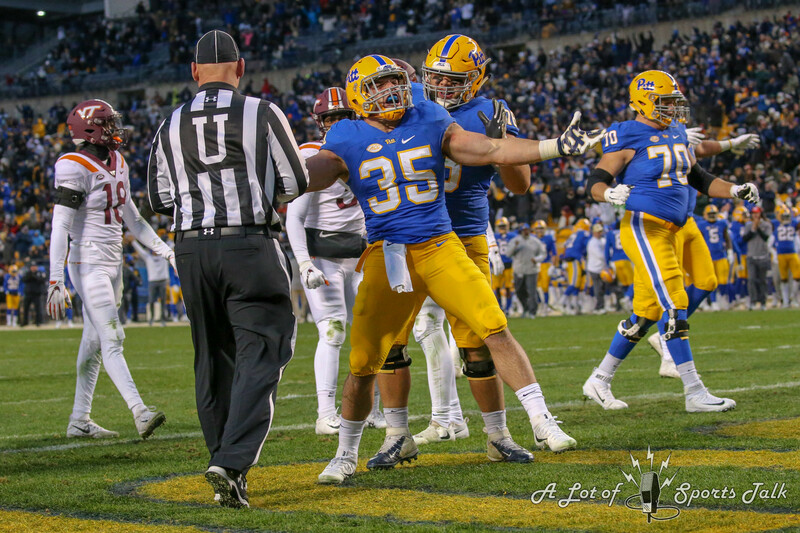 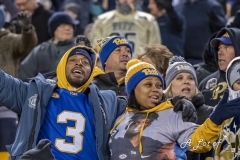 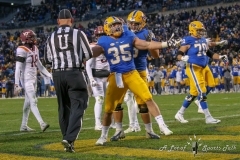 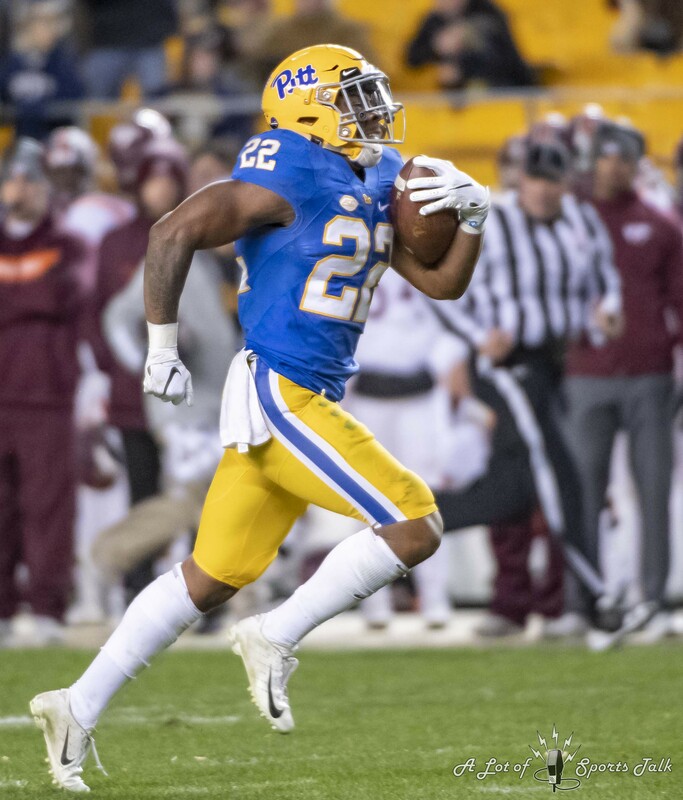 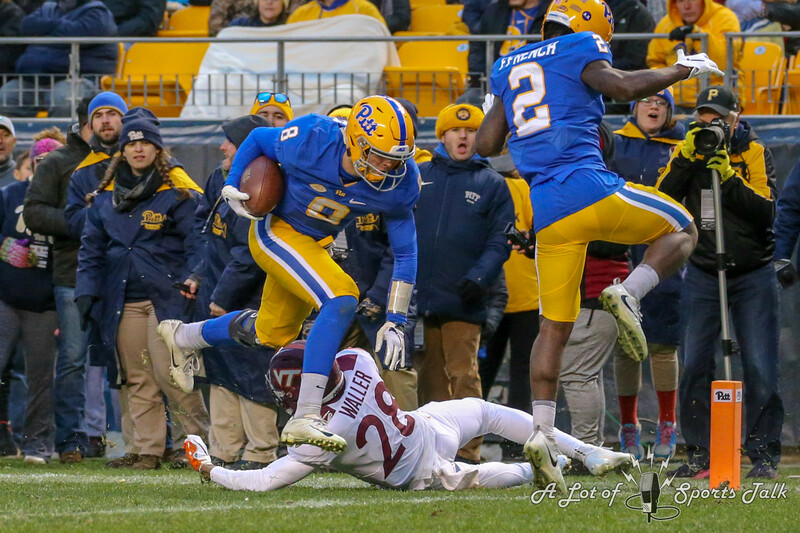 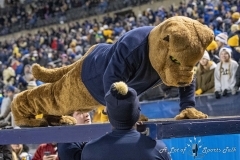 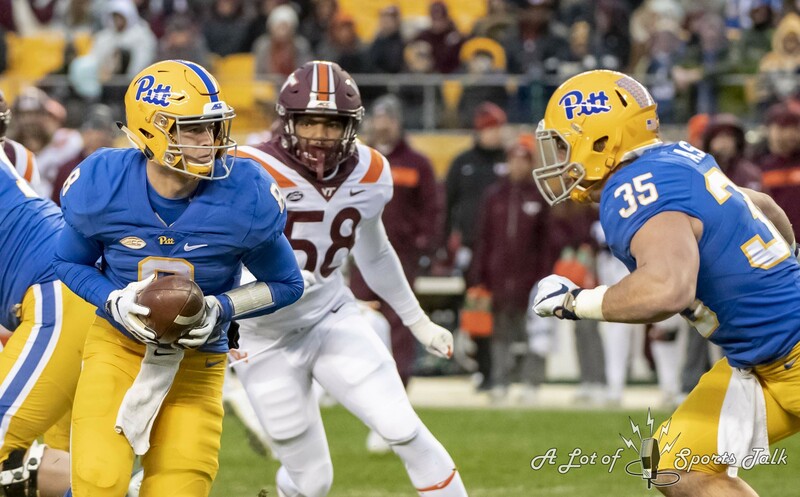 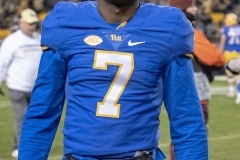 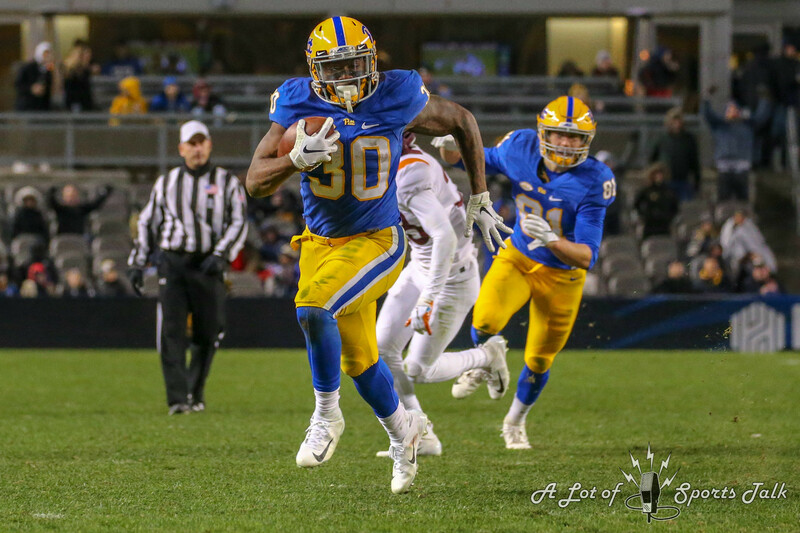 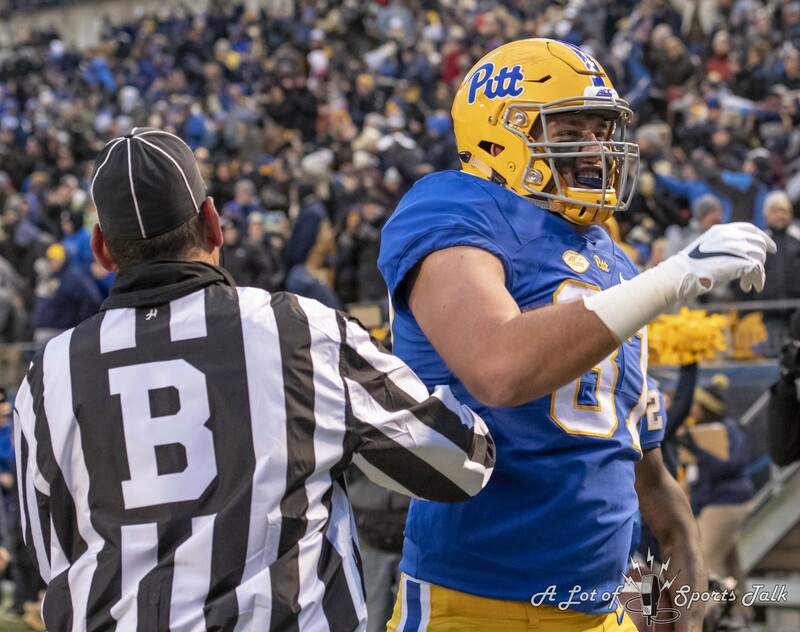 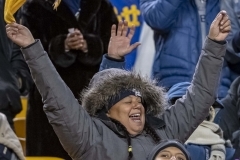 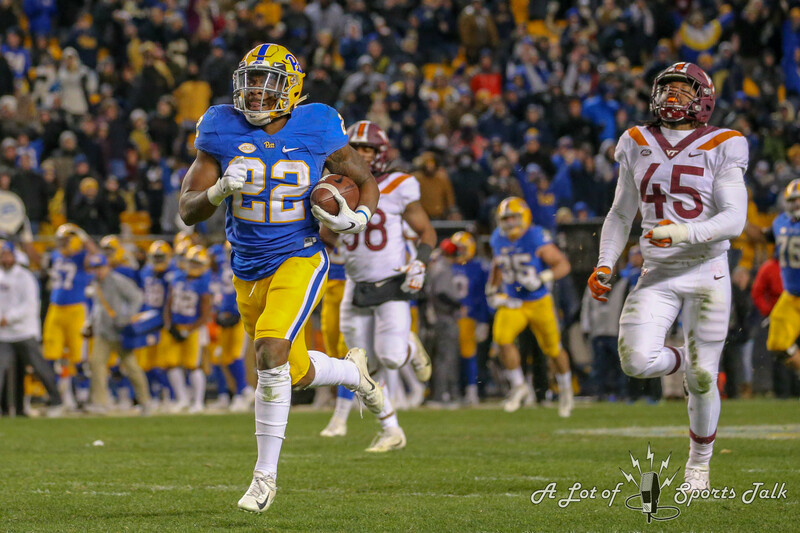 PITTSBURGH — Senior Day in the Steel City allowed a number of the Pittsburgh Panthers football players, in front of family, friends and supporters of the program, to take one final bow as their football and academic careers were celebrated. 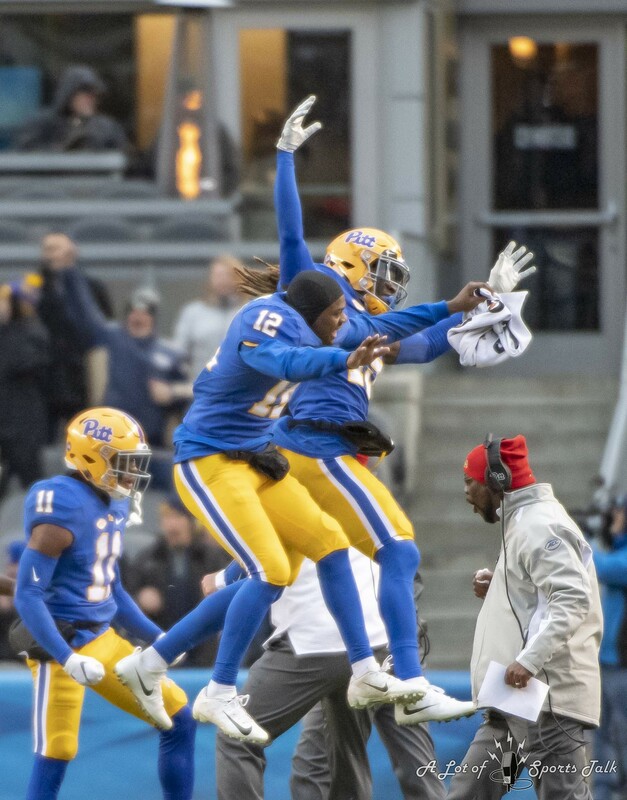 Two seniors in particular, the productive running back tandem of Qadree Ollison and Darrin Hall, repeatedly took bows and were showered with curtain calls after seemingly taking carry after carry to the house on the Panthers’ way to setting a number of single-game school records — as well as come one step closer to competing for a league championship. 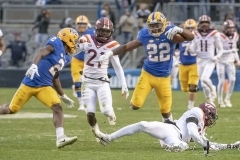 The dynamic backfield duo combined to run for 421 yards and four touchdowns as Pittsburgh racked up a program-record 645 yards of total offense in its 52-22 demolition of Virginia Tech, the Panthers’ third-straight victory and their fifth in six conference games this season. 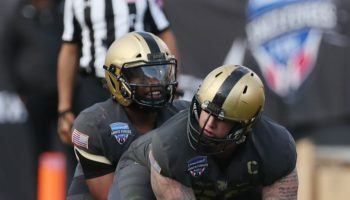 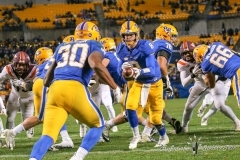 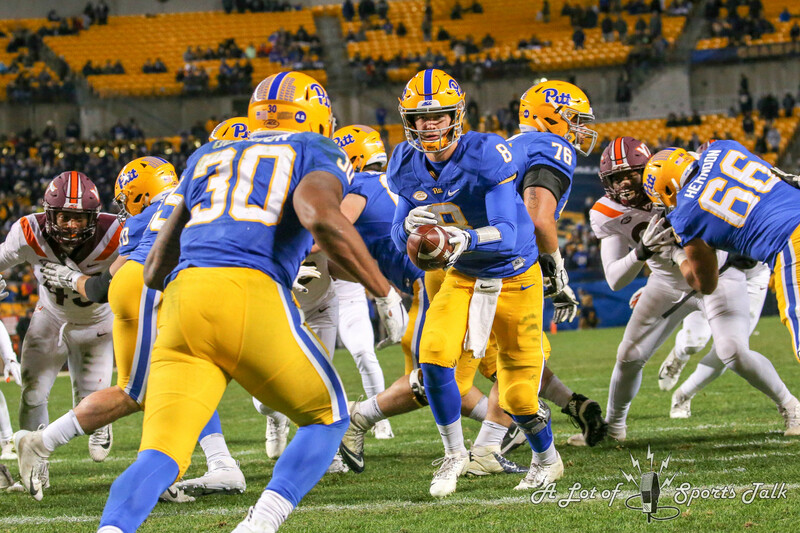 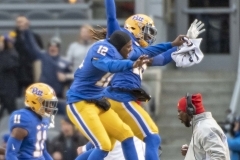 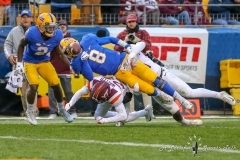 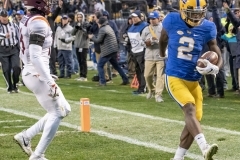 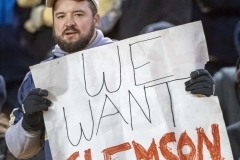 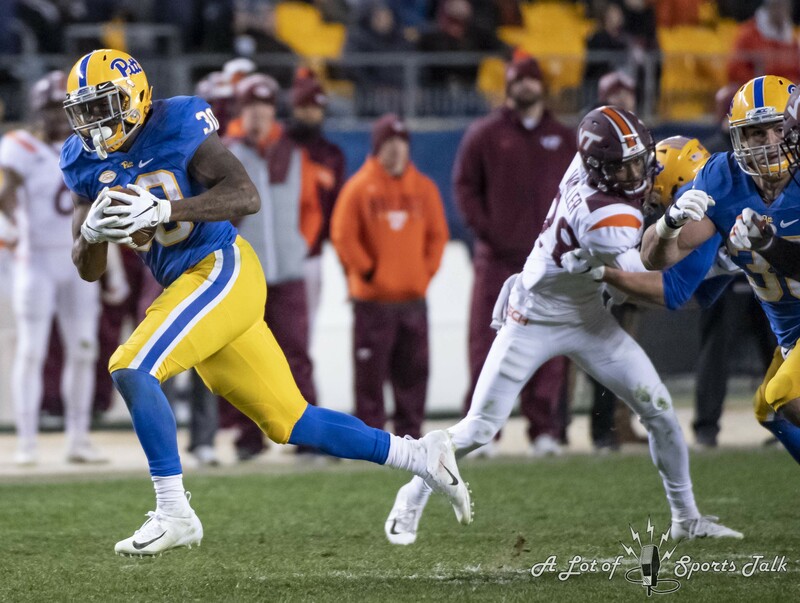 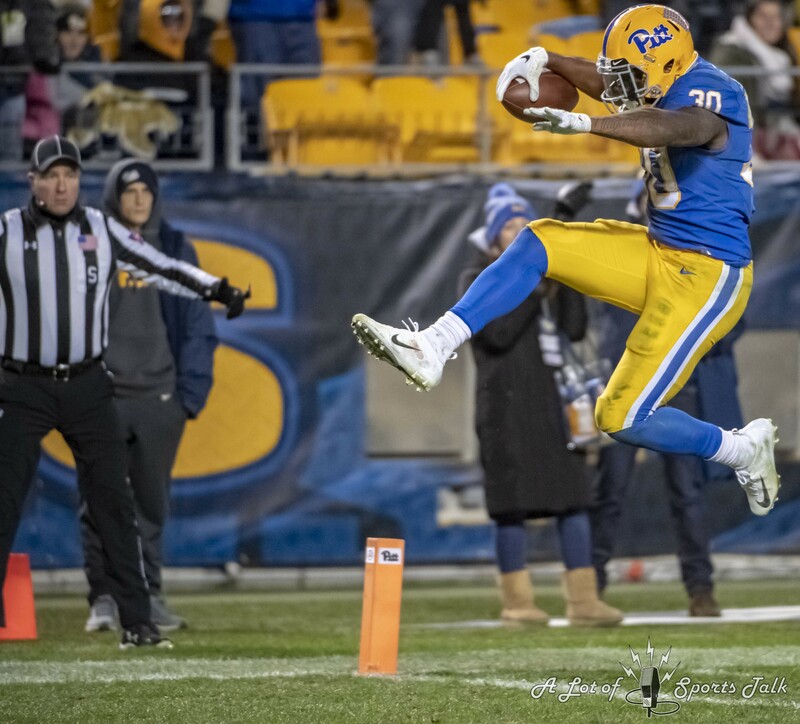 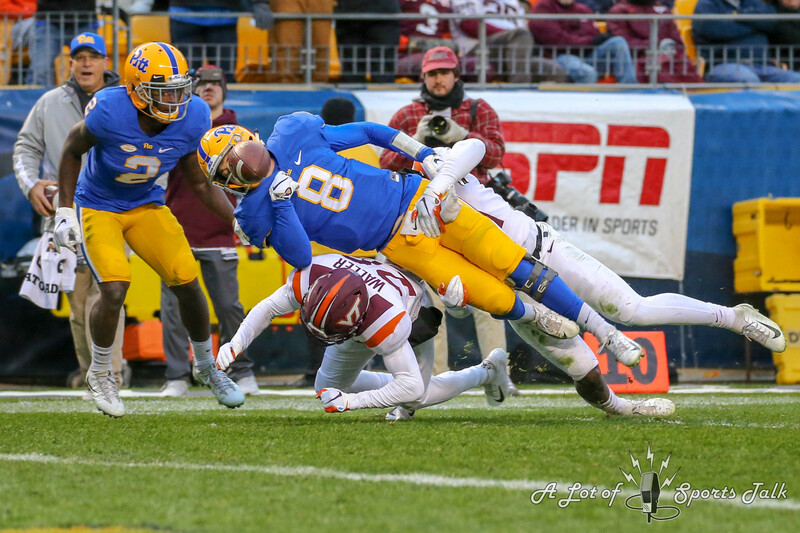 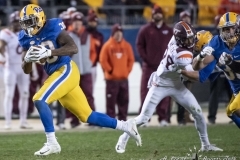 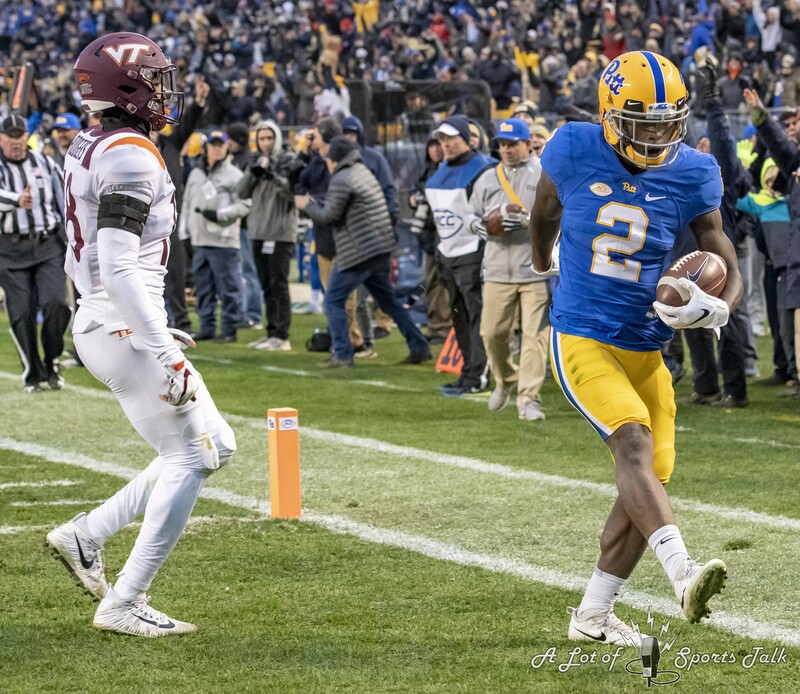 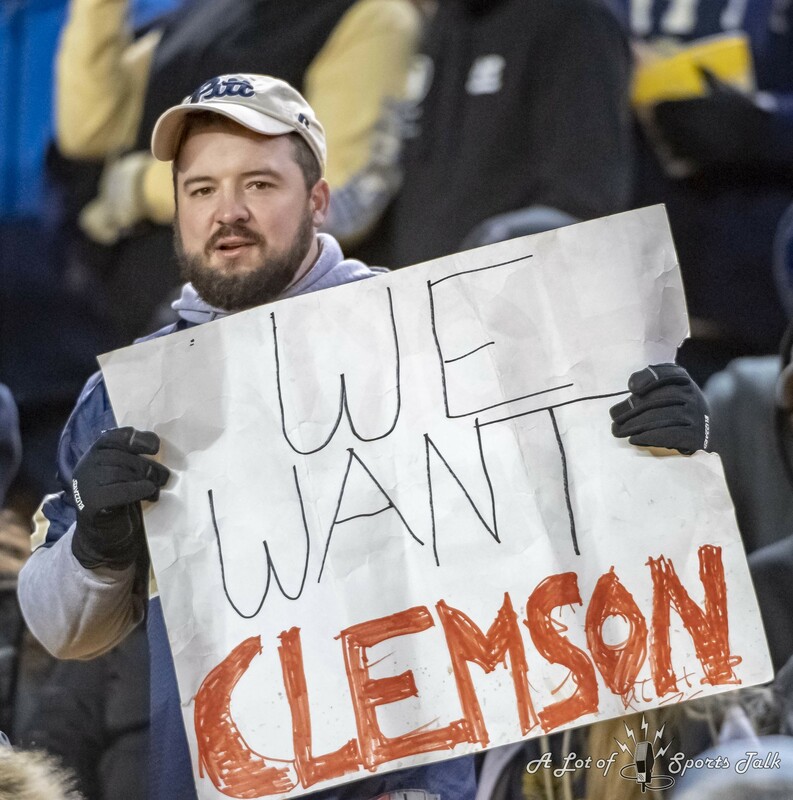 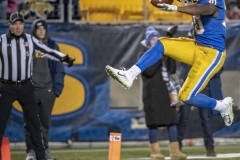 A win in either of Pittsburgh’s next two contests, road games against Wake Forest and Miami, would clinch the Coastal Division title and a spot in Charlotte for the ACC Championship Game on Dec. 1. 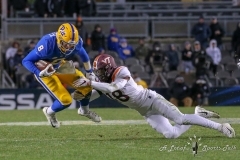 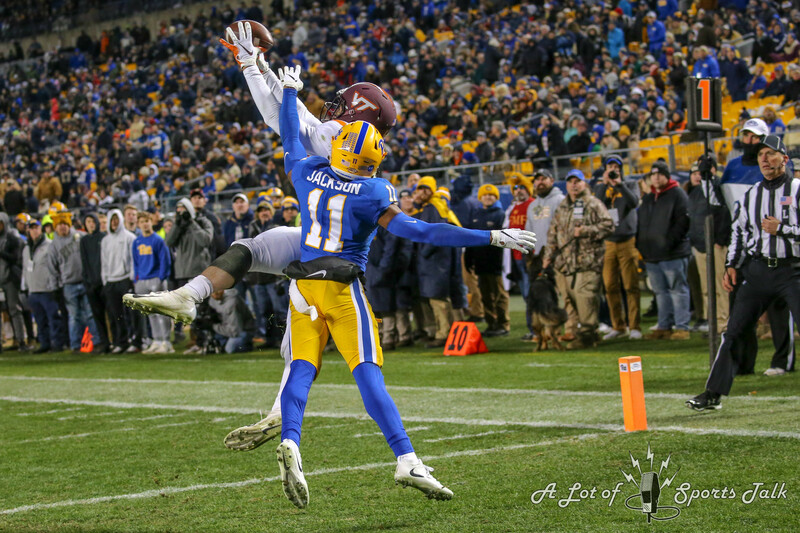 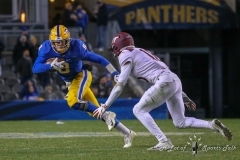 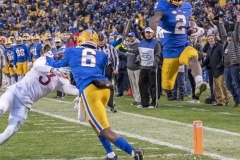 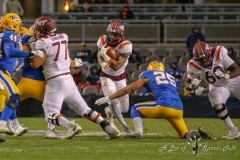 Ollison rushed for 235 yards and three scores on just 16 carries, applying the coup de grâce on the contest with a 97-yard touchdown run late in the fourth quarter, the longest play from scrimmage in the school’s 114-year football history. Halfway through the jaunt, Ollison delivered a punishing stiff-arm that freed him to go coast-to-coast. 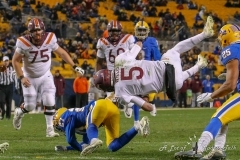 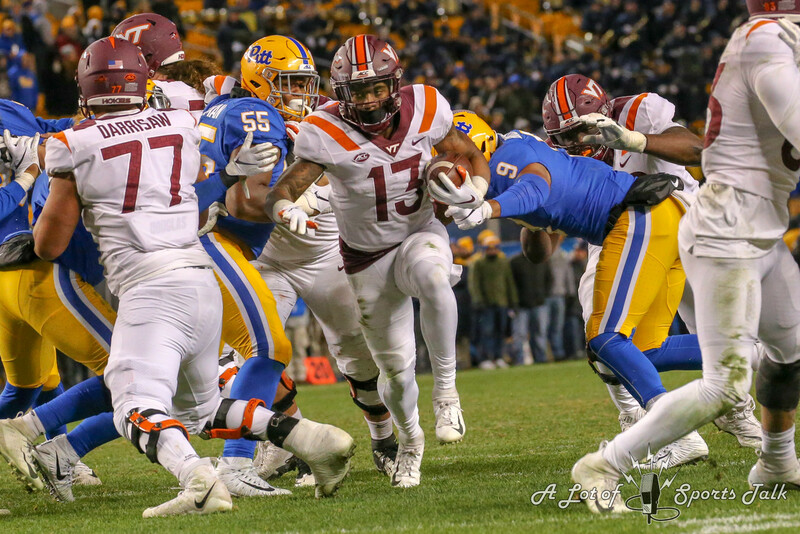 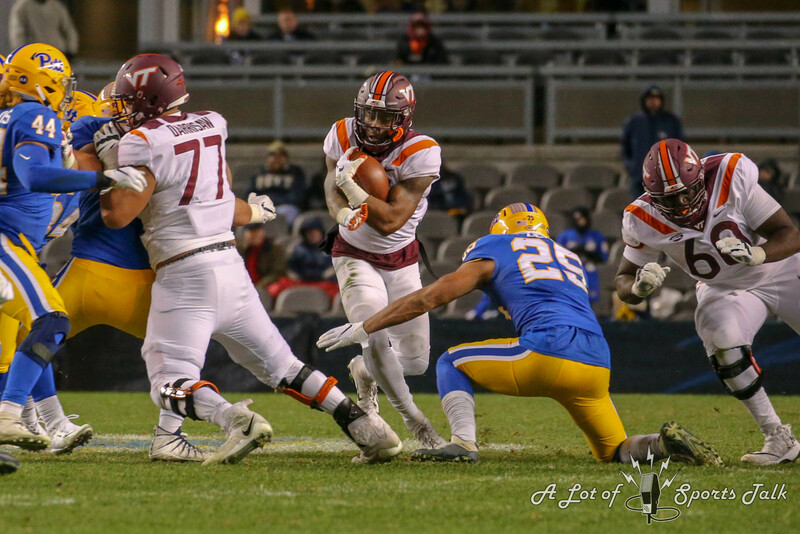 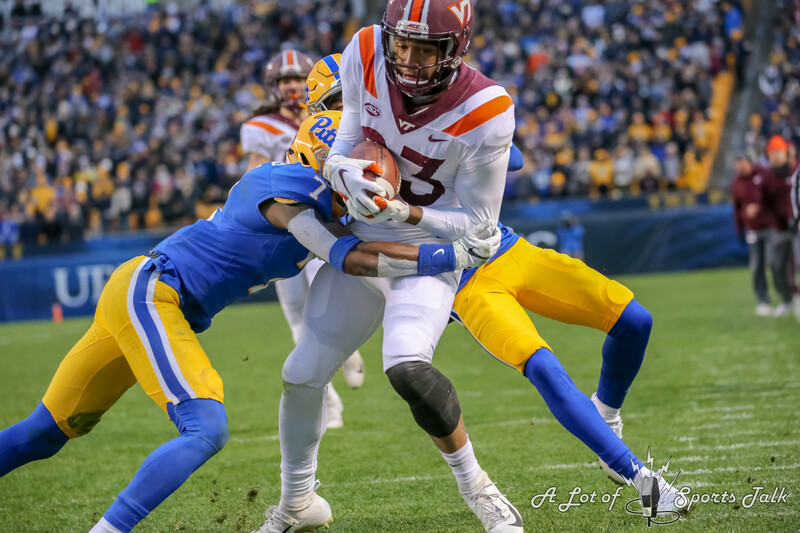 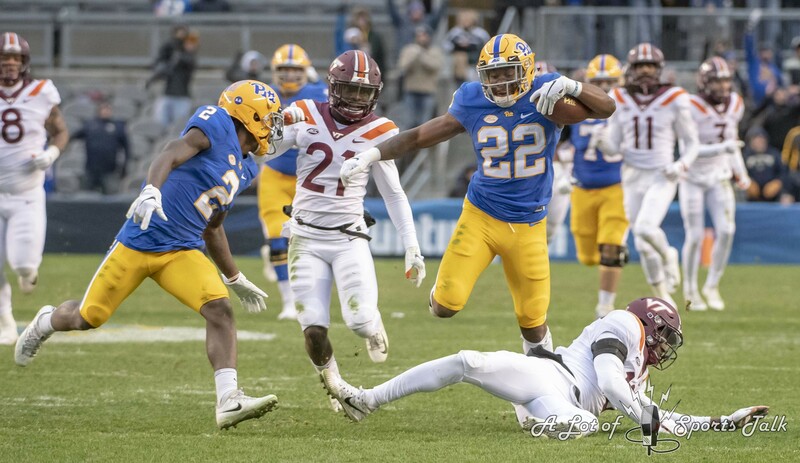 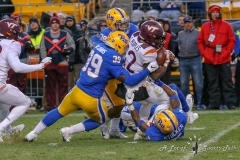 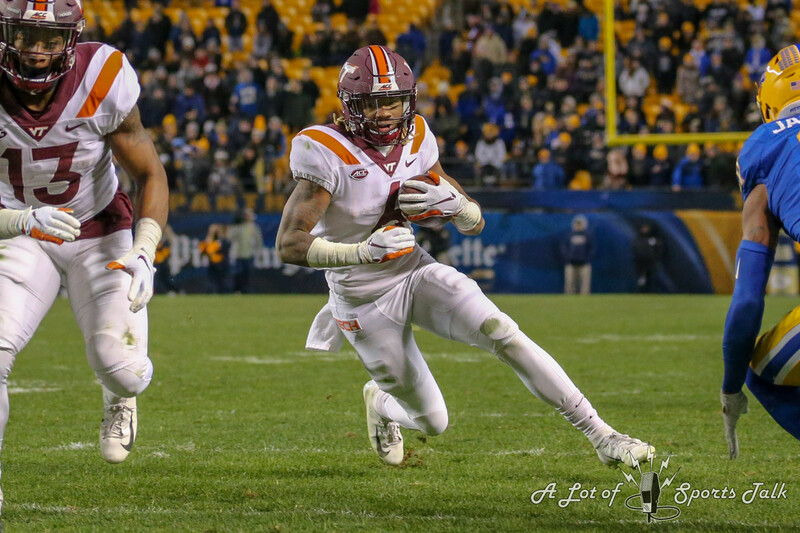 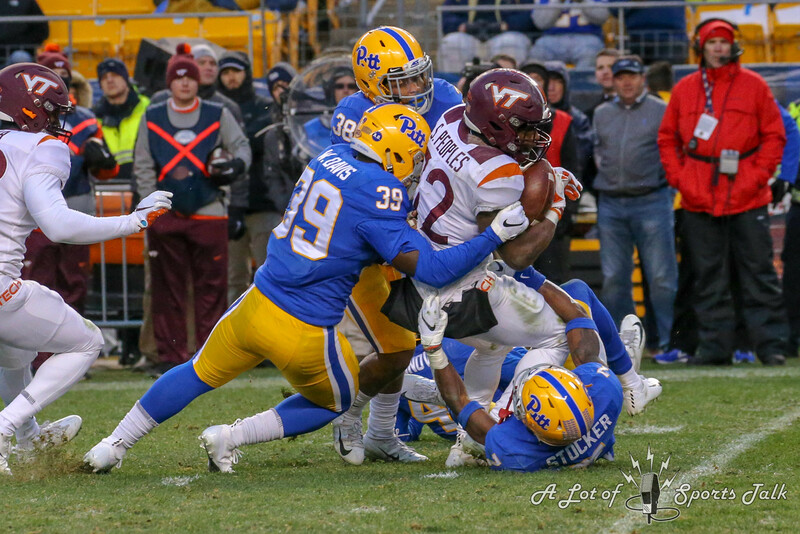 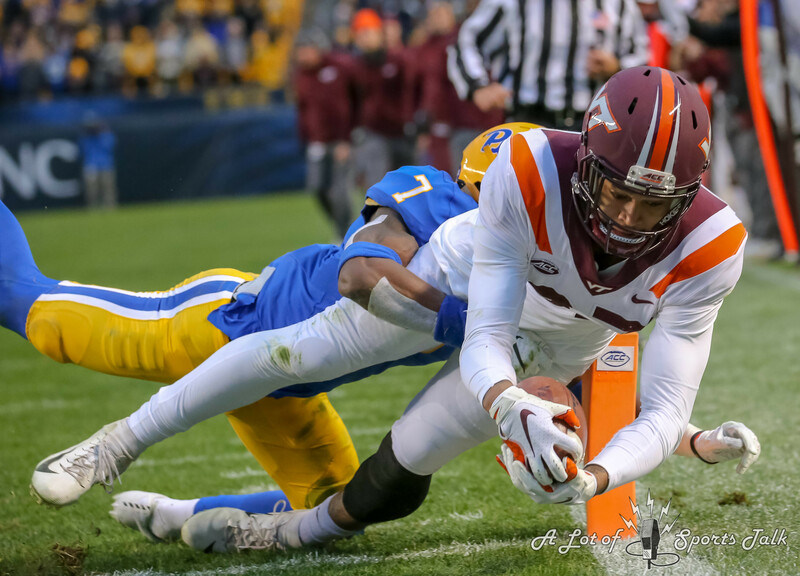 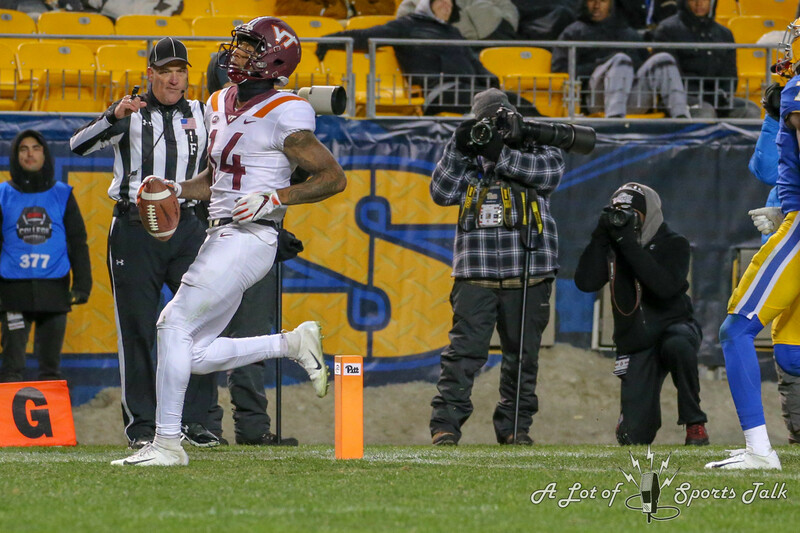 Hall proved just as tough to bring down for the beleaguered Hokies defense, whose 492 rushing yards allowed were the second-most ever given up in a game by Virginia Tech. 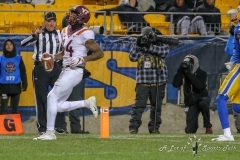 On just seven carries, Hall ran for 186 yards — 111 of those in the first half — including a 73-yard touchdown with 4:04 remaining in the third quarter for a 38-15 lead, less than a minute after the Hokies had scored a touchdown to cut their deficit to two scores at 31-15. 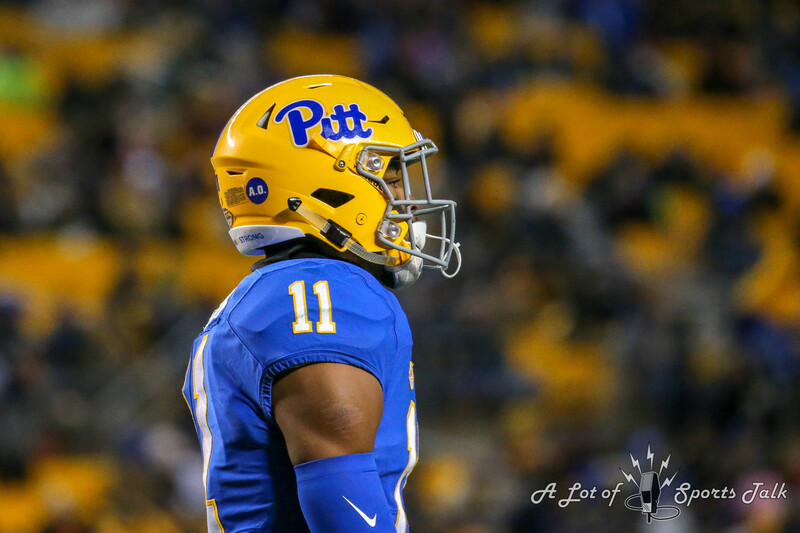 Pittsburgh (6-4, 5-1) quarterback Kenny Pickett only had to throw the ball 11 times in the game, but he completed seven for 162 yards. 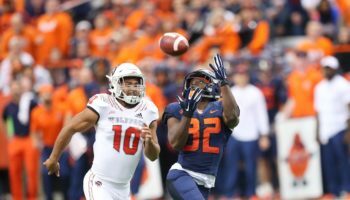 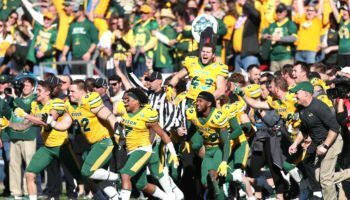 One of those passes resulted in an acrobatic catch by receiver Maurice Ffrench, who then ran down the right sideline for a 73-yard touchdown and a 17-0 lead a minute into the second quarter. 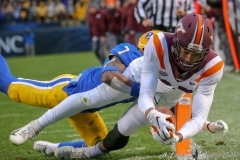 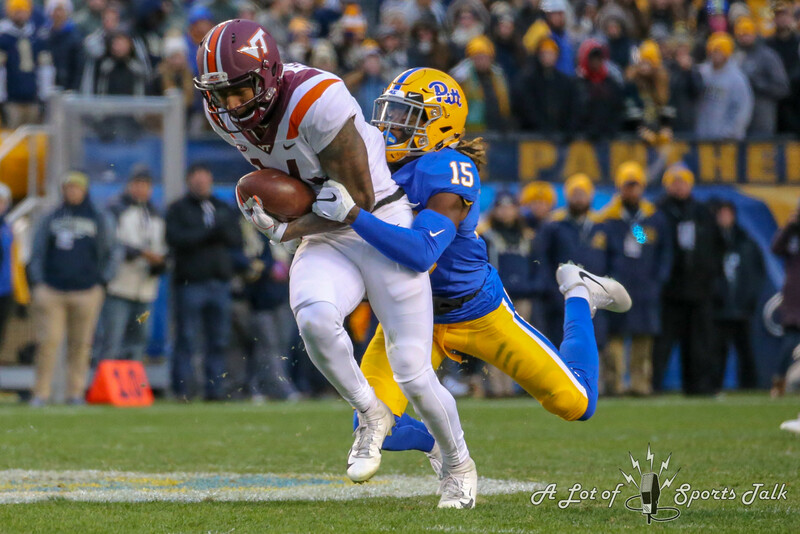 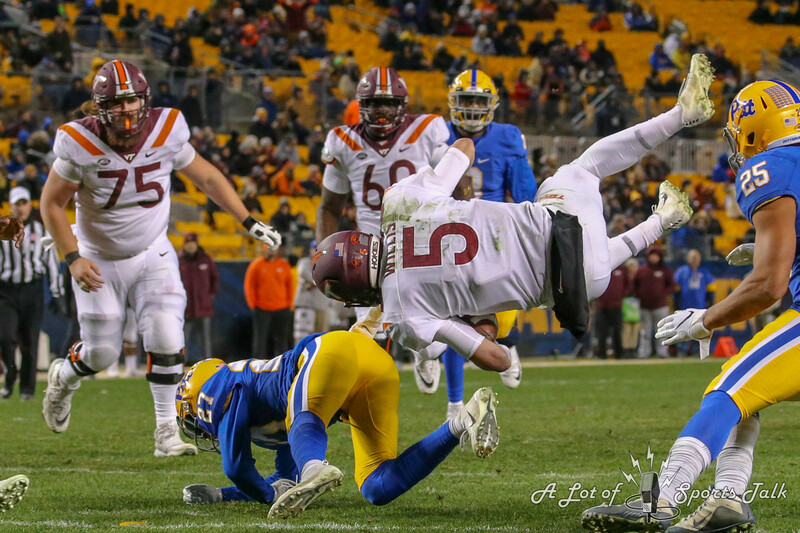 Virginia Tech (4-5, 3-3) was looking to forge a three-way tie for first place in the Coastal with the Panthers and Virginia, but was not able to match Pittsburgh’s firepower once it fell behind early. 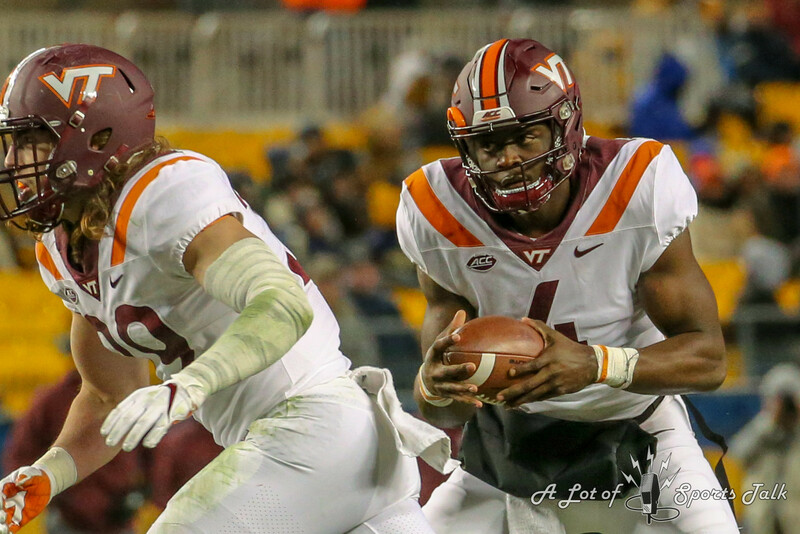 Quarterback Ryan Willis was 22-for-34 for 231 yards and three touchdowns, two of them to receiver Eric Kumah. 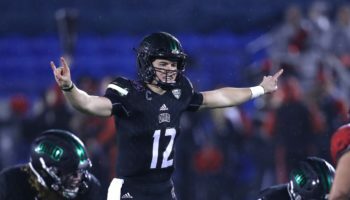 Due to the Hokies only scheduled to play 11 games after their Sept. 15 game against East Carolina was cancelled because of the impending landfall of Hurricane Florence, they need to win both of their remaining games, home tilts against Miami next week and Virginia the day after Thanksgiving, to extend their streak of appearing in a bowl game to 26 consecutive seasons. 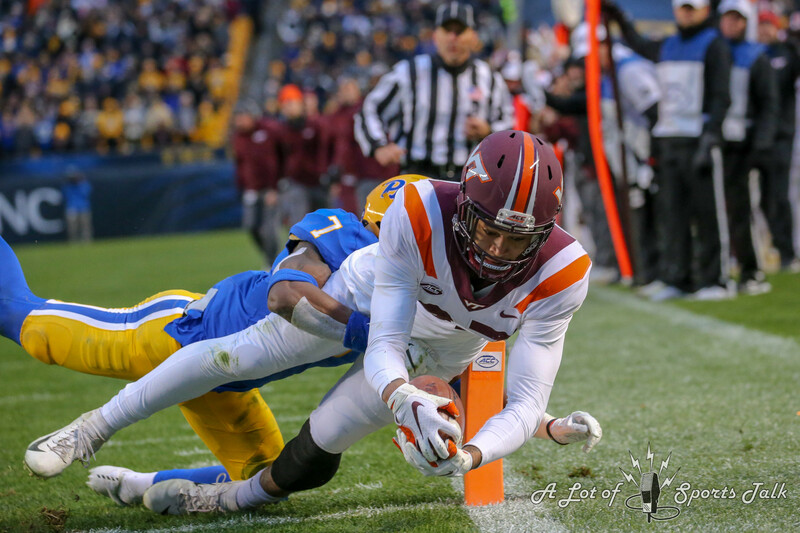 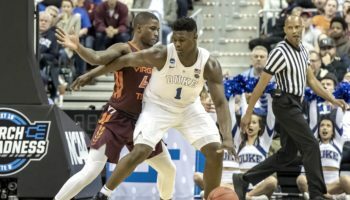 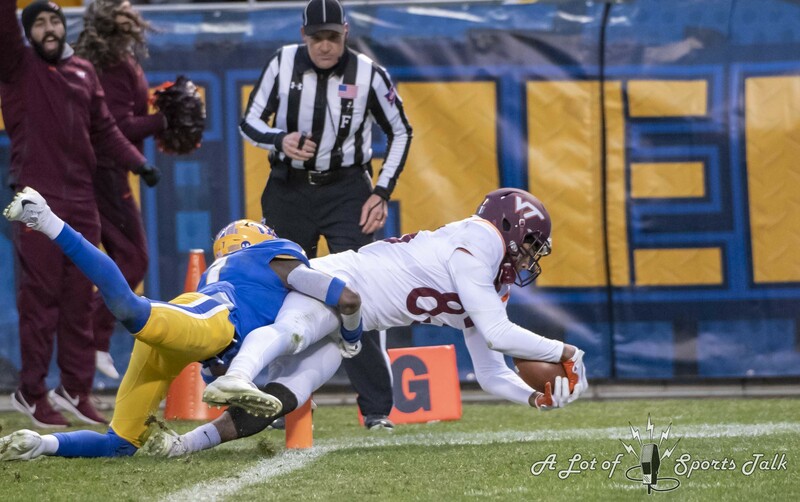 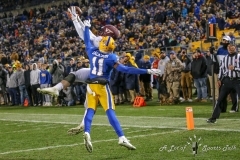 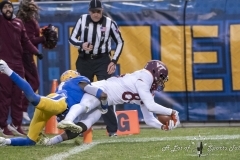 *Editor’s note: Above the byline is the photo gallery from Saturday afternoon’s game, with all photos taken by DC-Area photographers Yusuf Abdullah and Rodney Pierce. 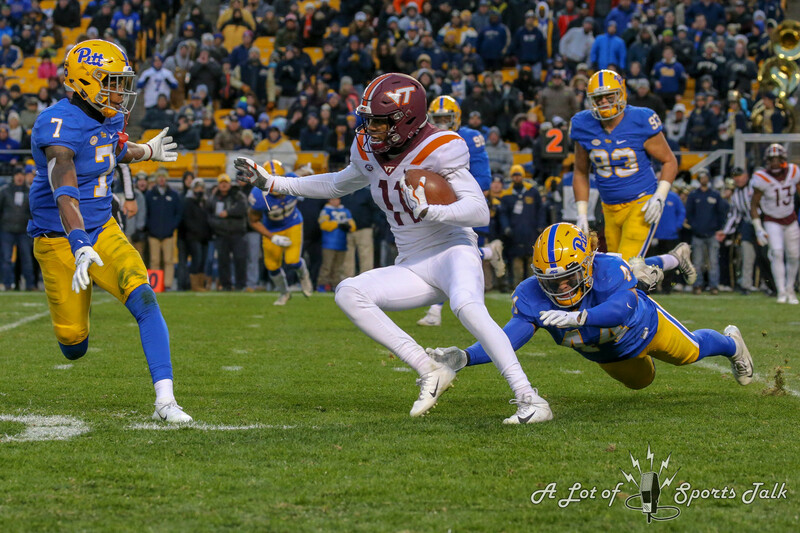 After clicking on the first photo to enlarge the picture, make sure to press the left and right arrow buttons to scroll through the rest of the pictures. 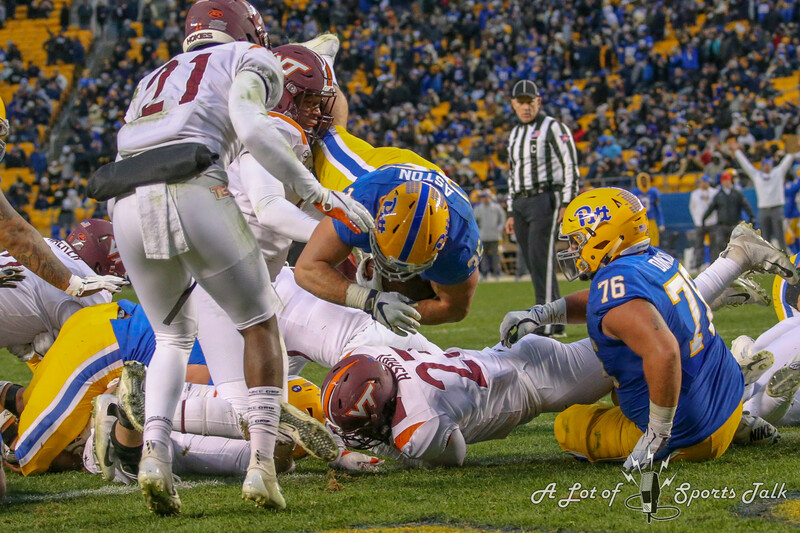 There are 42 pictures in total.